Buddhist cuisine never used to be in the same league as refined, world-class dining until Jeong Kwan surfaced on Chef’s Table. The sunim from the Baegyangsa temple in South Korea became an overnight sensation after she introduced the globe to her ascetic culinary philosophy, where simple vegetarian fare, cooked and plated with origami precision, became an extension of a scriptural path to mindful living. Her appearance on the hit Netflix documentary, one that has been dominated by reels of Michelin-starred chefs, served to expand the dialogue between food and religion. While the conversation has always been governed by what faith says its followers cannot have, Kwan showcased how food, created in accordance with religious tenets, does not have to be limiting. Buddhist food can be universal, especially when the benefits for body and mind are manifold. The Korean monastery may be spotlighted, but other Buddhist disciplines in Asia have also come forth to reveal a unique take on ethical dining. In Kyoto, there is Toshio Tanahashi, a Zen monk who has taken shojin ryori (Japanese temple food) around the world and earned the admiration of titans like Alain Ducasse. 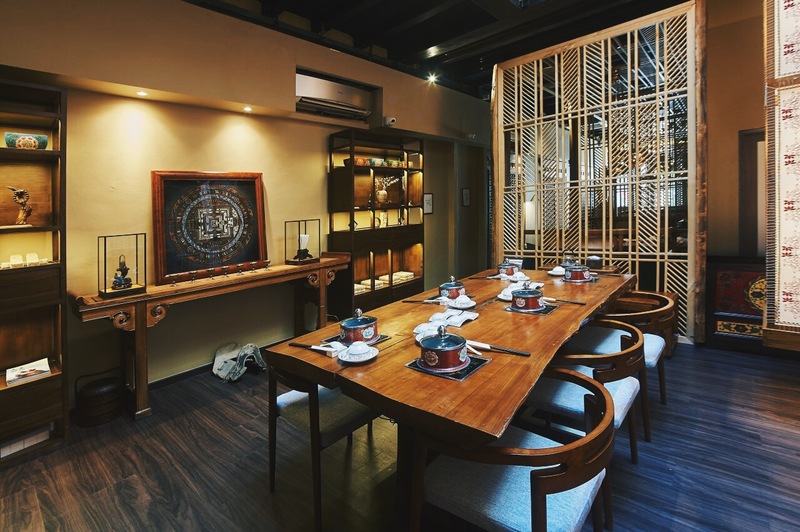 And now, in Singapore, there is Ganglamedo, a vegetarian restaurant run by Anita Yuan, a devout Tibetan Buddhist. Unlike Kwan or Tanahashi, Yuan is not the chef at Ganglamedo — that position is occupied by a local — but her approach to food is one that resonates with the mindfulness of Buddhist cuisine. “It was never my intention to be militant or to force people to conform to my religion or vegetarianism through this restaurant. It’s through good, plant-based cuisine that people can start to realise that this is a way to dine healthily, and to accept that it is good for the world as well,” she said. Ganglamedo highlights Tibetan ingredients, prepared through a traditional Chinese approach to cooking. Delicate dishes are meant to balance the yin and yang in the diner’s body. Even if you don’t buy into the metaphysical barrage at first, a meal there leaves you tranquil enough to realise that Buddhist food is worth the attention it is getting. Woven screens maintain privacy across booths. 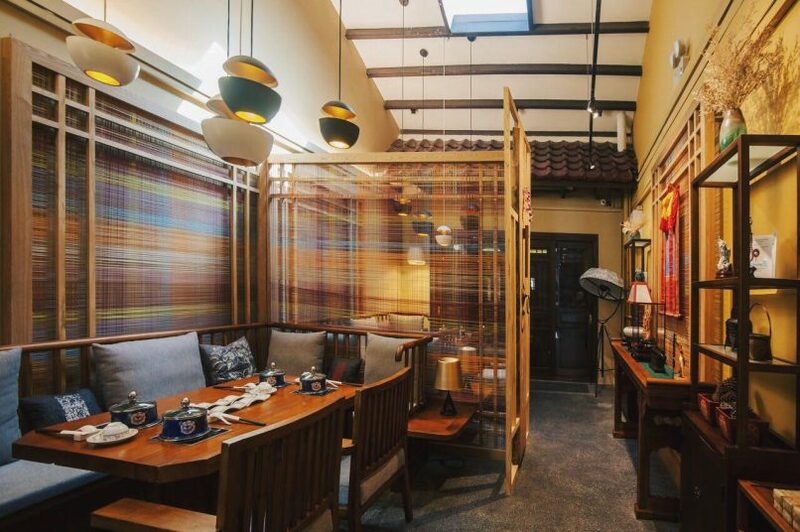 Ganglamedo’s interior can be summed up in one word: Warm. Autumnal tones wash over the space, framing the oriental wood furniture and rustic Tibetan artefacts within the dining halls. The combination of earthy colours, natural light from a towering sunroof, and the tranquil music that pervades each floor, sets you right at ease. You almost feel like you are dining in someone’s home. Adhering to the strict Buddhist tenets of vegetarian food, Ganglamedo uses no garlic, onion, or artificial ingredients in its cooking. It goes without saying that mock meat is a dirty word in this shrine to humble vegetables. The kitchen has a puritanical approach to seasoning. Where possible, vegetables in their most unadulterated form take centre stage, beckoning diners to taste them for what they are. Dry tossed cordyceps are another cold starter. Cordyceps are a superfood, helping to fight against inflammation and diseases in the body. We are so accustomed to having vegetables slathered in dressing that having the appetiser, a cold dish of juicy cordyceps blossoms rolled in translucent slices of cucumber and sprinkled with sesame seeds, felt like a foreign mouthful, almost too raw. But a couple of chews in and your tastebuds acclimatise themselves to the levels of sweet and earthy delivered with every crunch. 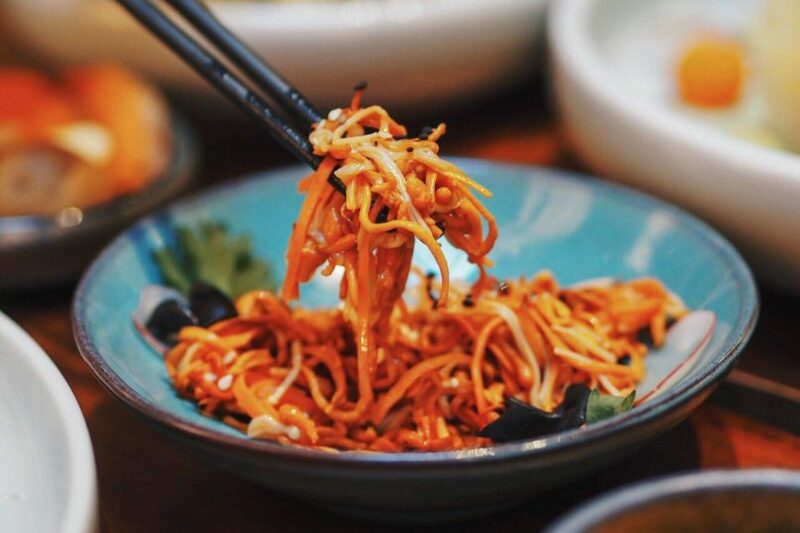 To alleviate the watery taste of greens, dip the rolls in the housemade chilli, where dried pieces of pepper, mushrooms and peanuts are tossed in chilli oil. The chunky condiment smacks the tongue with spice, but not so much that the umami flavour is lost. The cooked starters were much preferred. 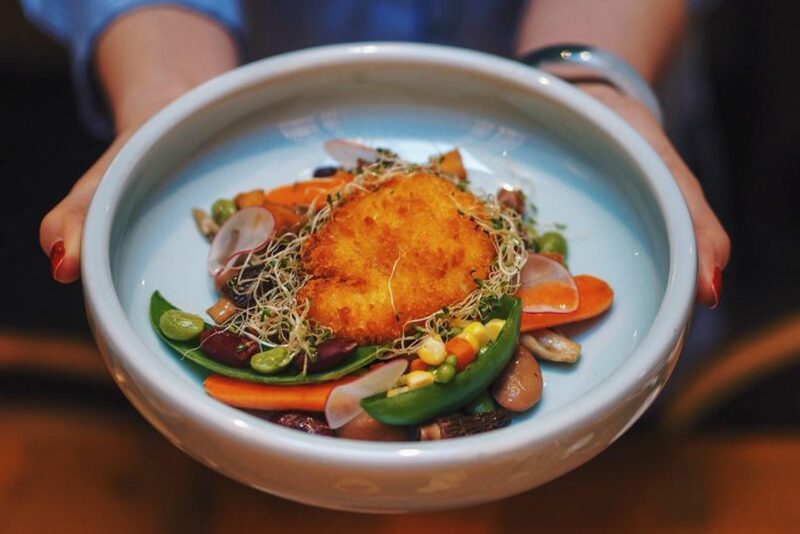 Housemade tofu is a chef’s signature, with only eight to 12 portions available every day. Crumbed and fried till golden brown, the tofu was such a silky marvel, we understood why diners have to reserve the dish in advance. Mochi bread is another crafted Ganglamedo special. The Asian, dairy-free riff on Brazillian pão de queijo is made with black sesame seeds, giving the bun its pale grey tinge. Peel past the husk, and you get a nutty, glutinous core that is quite a welcome workout for the jaw. 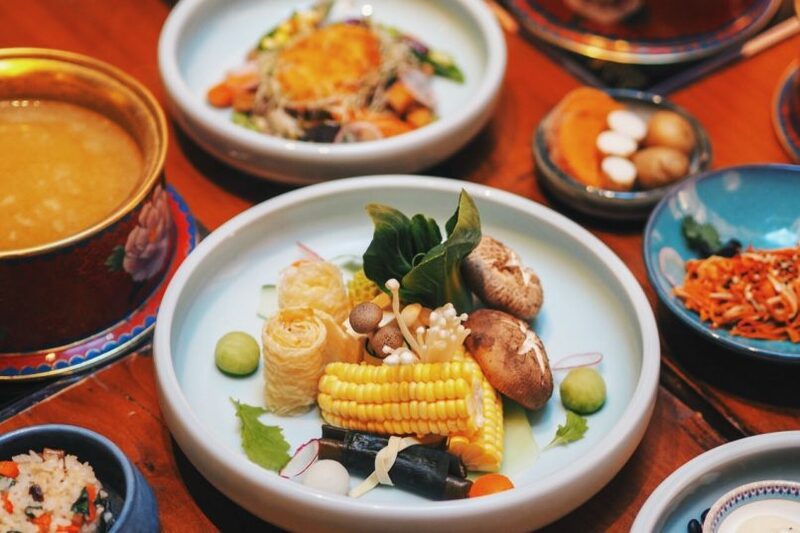 If the appetisers were an experiment in texture to prove how dexterous greens can be, then the broths at Ganglamedo championed vegetables as a worthy competitor to animals in the flavour arena. 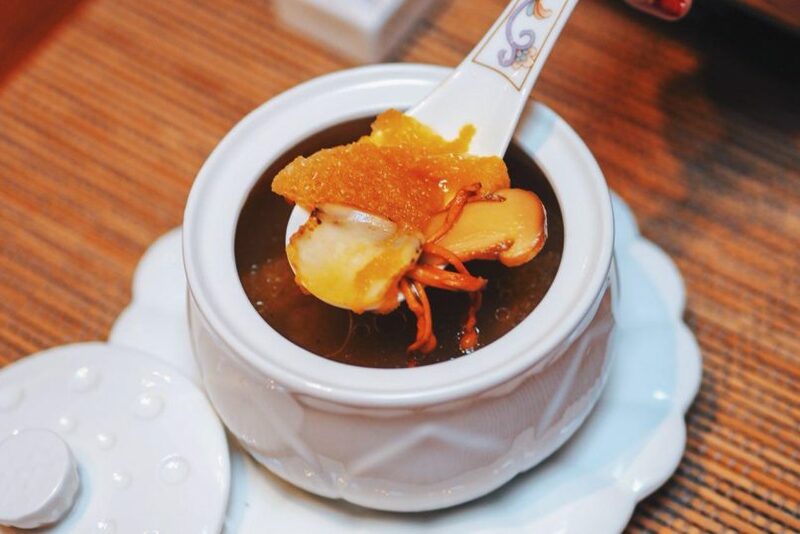 Juicy spirals of cordyceps sourced from Naqu, a town 4,000 metres above sea level, are boiled for six hours with bamboo fungus and matsutake mushrooms to create a rich, meaty broth that warms the heart with each spoonful. Soups are also the soul of the standard entrée, a personal hotpot served with a rainbow of seasonal vegetables, noodles or rice, and a choice of one of the following broths — hot and sour, white pea, Tibetan tea with mushroom, and tomato. The soup stock is made from diligently simmering 12 vegetables to extract maximum flavour. A selection of seasonal vegetables to accompany the hotpot. Hot and spicy soup is everywhere in Singapore right now, but Ganglamedo’s version is a cut above. Turmeric yellow in colour, a simmering bowl looks unassuming until a misguided gulp leaves the mouth seared, satisfyingly numb, but not so annihilated it can’t appreciate the peppery, herbal aftertaste. We also tried the white pea option, a sweet and delicate sibling to the fiery hot and sour soup that tasted rather one-dimensional. Adding in the vegetables did little to enhance its flavour, but it does make for good consideration if you are at Ganglamedo to feel especially wholesome, as white beans are among the most nutritious legumes around. 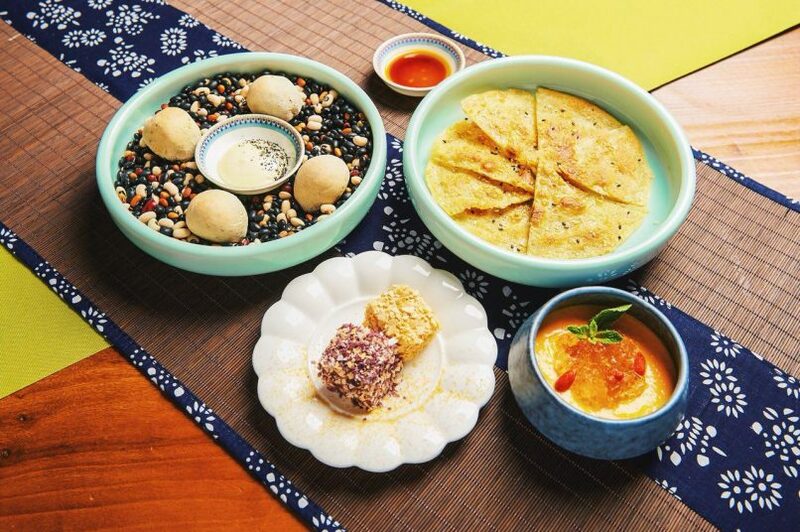 A mix of appetisers and desserts: mochi bread, spinach pancake, white pumpkin cake and peach gum. We did reach critical mass with vegetables when dessert came in the form of winter pumpkin cake with cereal confetti and peach gum with golden paste and wolfberry. The “cake” was gummy mochi with the faintest whisper of sweetness from the gourd, while the “golden paste” was more pumpkin, just creamed. A piping cup of smoky Tibetan tea closed the meal on a far better note than the pale sweets, setting us right back on the feel-good train that the meal took us to. 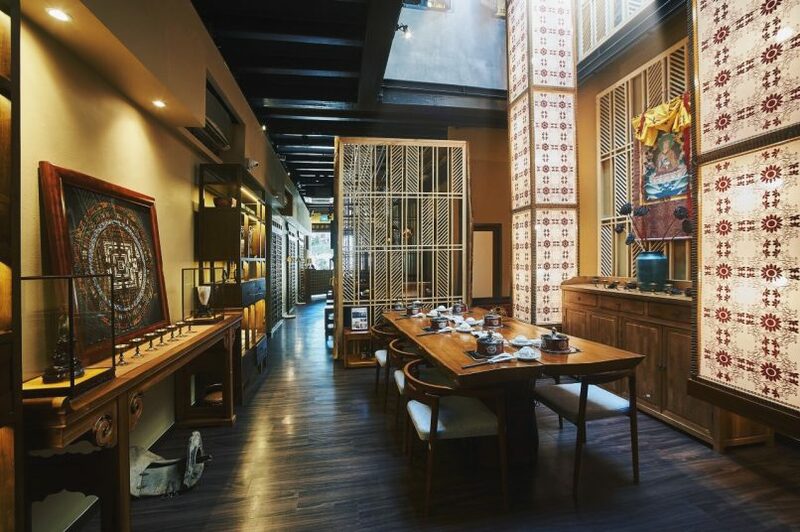 Ganglamedo is a welcome inclusion to the buzzing vegetarian scene in Singapore. Yet, its true merit lies in the ability to sway even the staunchest meat-eater to the green light for the duration of the meal, because there is something in the purity of Buddhist cuisine that just recharges the senses.